John Kavanagh is the longtime head coach at Straight Blast Gym in Dublin, ireland. While much of SBG’s talent has been left untouched by American MMA promotions thus far, Kavanaugh’s fighters have made a lot of noise fighting on the European circuit. Now, with Icelandic protégé, and Brazilian jiu-jitsu savant, Gunnar Nelson winning his first two UFC fights and the much-anticipated UFC debut of Ireland’s own Conor McGregor coming up on April 6, the time seemed right to talk to one of the main guys responsible for introducing Europe to the greater MMA world. Fightland: How did you begin training Gunnar? 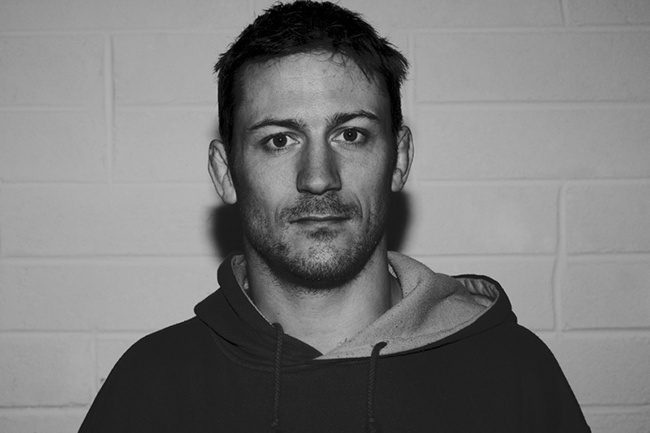 John Kavanagh: I visited Iceland about seven years ago for a seminar. Gunni must have been about 17 back then, but we instantly struck up a friendship. We kept in contact and he soon came over to Dublin to live with me and train at the gym when he was 18. What were your first impressions of Gunni when he arrived at SBG? He didn't really stand out to me in that regard as he was like everyone else in terms of personality. If you look at most Scandinavians/Nordics, you'll see that a lot of them are the same with their reserved personalities as a race, if you like. I've been around them for such a long time so I guess I'm used to it. It seems to be mostly the American media that have a slight issue with Gunni’s interviews. Scandinavians and Americans couldn't be more different. I've been to Estonia before and they are even more stoic. A lot is made of the post-win weeks of celebration following a fight. For instance, Joe Lauzon talks of food binges and England’s Ricky Hatton used to live at the pub and balloon in weight. Does Gunnar do any of this? Gunnar doesn't celebrate fight wins. He's always back in the gym the following Monday. MMA is a lifestyle for him. You hear about other fighters having a crazy 6-8 weeks of training then going into hiding for a month to get on the beer. Gunnar doesn't do any of that. He always eats a clean diet and trains at a medium pace year-round, even when a fight is drawing near. Following the Jorge Santiago fight, many people questioned Gunni’s use of a karate stance and karate-based stand up. What do you make of all that? I find it amusing, really. Lyoto Machida is the least-hit fighter in UFC history, and what is his main martial arts base? Karate. Boxers and Muay Thai fighters get hit as much as the karate guys do. It's no different. There are always imperfections to things and ways to improve everything in life, and that includes Gunni's striking. But he didn't take any real shots like some people are making out. It may have looked that way with Gunnar’s longer hair. I've actually told Gunnar to keep his hair short for his next fight - strikes always look more impressive if you see hair/sweat flying about. Could you describe the fighting style of Conor McGregor for any US fans who aren't aware? All you have to do is watch Conor's last two fights. It's hard to put what he does into words. He has an extensive background in western boxing so you see that element in his game. But, other than that, I don't know what he's doing with himself, to be honest. He watches Bruce Lee movies and takes techniques from that. Gunni has taught him some karate moves. Conor's also looked at capoeira for kicking techniques. I wouldn't be surprised if he pulled out a 360 Jean-Claude van Damme kick in a fight. We were training the other day and he pulled out some kicking move which had him on one hand and kicking high in the air--I've only ever seen that on Tekken! It was strange. It helps that he's got such a great boxing background - it means he can experiment. He's comfortable on the inside, defending and taking a punch, which gives him a little bit of freedom to use other techniques. His last fight was against Ivan Buchinger. This guy is 21-4 and only landed one jab throughout the fight and Conor still got depressed about that for a good three days later. What's the press attention been like since his UFC debut was announced? It's been ridiculous. The last while has been absolutely crazy. There was the MTV UK documentary that came out. At one point we had three camera crews following Conor around on one day. I've had to tell people that he won't do any more MMA media until after the fight as you can see it was starting to wear on Conor. The attention has started to mentally drain him a bit. It's been crazy. Finally, you finished your career as a fighter with a win back in 2003. What stopped you from fighting, and do you ever feel the urge to get back in the ring? MMA was such a different landscape back then. I didn't have a trainer or any coaches. I was one of the first guys to train or practice MMA where I lived, so comparing back then to today is impossible to do. All the fighters in my gym are pure athletes. Back then, I was coaching people to spar with. I was just wearing too many hats at one time when I was coaching and preparing for my own fight. It was too much stress; but I was always more drawn to teaching than fighting. It gives me more pleasure to teach than fight - whether it's teaching a white belt BJJ class or preparing Gunni or Conor for their next fight.